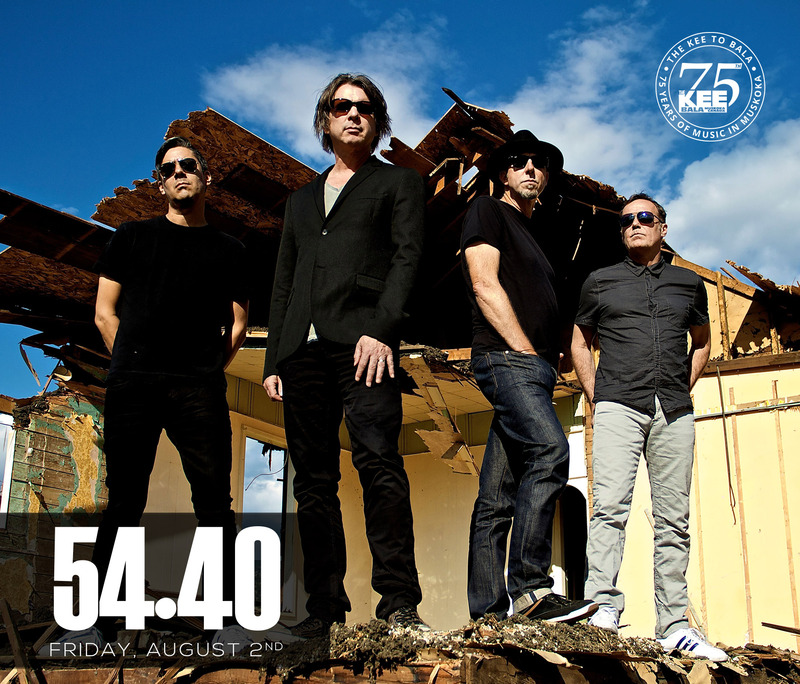 Welcoming back 54 40 – Live at The KEE to Bala – Friday August 2nd. 54-40 have roots reaching back to the early beginnings of the 1980 post-punk scene in Vancouver, BC; their very first gig was on New Year’s Eve 1981 at the Smilin’ Buddha Cabaret. In those days you’d have found them rehearsing at a decrepit jam space under a bridge deep in East Vancouver. In the true spirit of independence, the band screened their own t-shirts, sent photocopied newsletters to their fan club, and released their own recordings on tape, which would later be pressed to vinyl and cassette. They were immersed in the MuchMusic video craze of the 1990s and the growing digital worlds of CDs, MP3s, and websites. Through 2000 and beyond, the band have lived through the rise of filesharing and social media such as MySpace, Facebook, YouTube & Twitter and embraced it all, now releasing their very own mobile phone application. Indeed, 54-40 has seen many different changes over the past 30 years, and they have managed to remain constant and relevant in the ever-changing technological landscape of music.